Richard Carl Burnstine, M.D., age 86, beloved husband and best friend of Ann, nee Bernstein for 63 wonderful years; loving father of Phil Burnstine, Debbie (Gary) Walt, Jean (Tim Kisley) Burnstine and Liz (Linda Kane) Burnstine: very proud and loving Grandpa of Dan (Meghan) Burnstine, Ben Walt, Zach Kisley and Adam Walt; dear uncle, cousin and friend of many. Dr. Burnstine was a caring pediatrician in private practice for over 50 years and was loved and respected by his many patients. Service today Thursday February 23 at 1:30 PM at Am Yisrael Congregation, 4 Happ Road, Northfield. Private interment. In lieu of flowers, donations may be made to the Florence & Daniel Burnstine Jewish Book Fund at Harvard University, the Chicago Botanical Gardens or a donation of your choice. 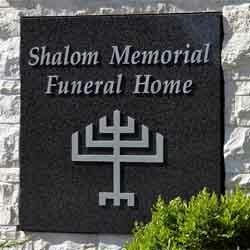 For information and condolences (847) 255-3520 or www.shalom2.com. May God remember the soul of Richard Carl Burnstine who has passed to eternal rest. O God, I pray that you will keep the soul of my dear______________ united with us in the bond of life. In his/her memory, guide me so that I will live righteously, fulfilling Your will and serving our people. May his/her soul rest in peace and be remembered as a blessing. O God, as I remember, Richard Carl Burnstine I pray that I may emulate all that was good and righteous in his/her life. May his/her soul be given eternal life and his/her memory always remain a comfort and source of inspiration. A link has been broken in the chain that has bound us together, yet strong bonds of home and love hold us each to the other and we give thanks for the blessing of life, of companionship, and of memory.